End their summer holidays on a high by gifting them with a once-in-a-lifetime #luxurylifestyle toy, We have something very special coming into our Bond Street auction rooms. 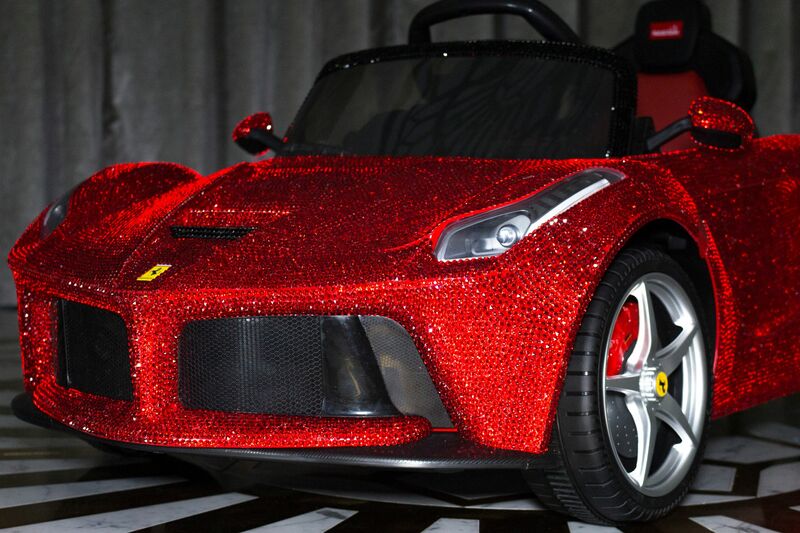 A stunning La Ferrari remote control car – covered in red Swarovski crystals – is being sold by private sale and offers are currently being accepted. This electric ride-on-toy is so special that it is believed to be the only one currently available in the UK. Furthermore, this isn’t second-hand. La Ferrari is brand new – it was only completed in March this year and hasn’t left the garage in which it was put together. 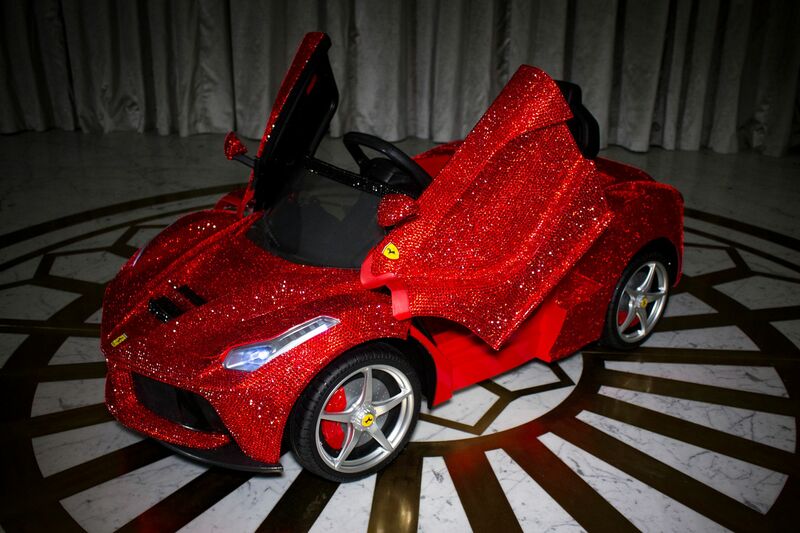 The dream car was bought as a basic model from luxury, toy-car specialists Rastar, which has a license to create Ferrari and other high-end marques child’s cars. 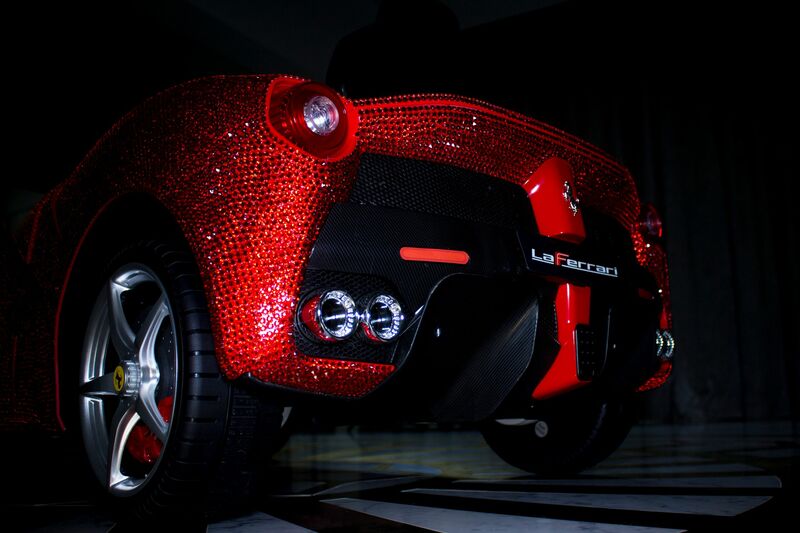 The electric car has since been customised by the private seller and has been wrapped in Swarovski crystals. Our Luxury Assets department is not new to dealing with prestige car brands and in 2016 was presented with the unique opportunity to acquire a quartet of Formula One World Championship Grand Prix Cars – which were sold by private treaty and attracted global media attention. The ‘La Ferrari’ is being sold by private sale and those who are interested in buying this unique item must email expressions of interest to [email protected] or fill in the form below.